The Olympus E-P1 is the first Micro Four Thirds camera from Olympus. The new E-P1 features a 12.3 megapixel sensor and offers users the ability to switch lenses. It has no mirror box between the lens and the image sensor, so it is effectively a full time live view camera. 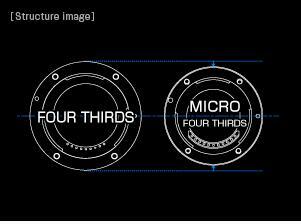 Because of the sensor size in Micro Four Thirds cameras, the Olympus E-P1 has a 2x crop factor applied to lens focal lengths. As a result, a 14mm focal length on the E-P1 is effectively equivalent to the angle of view of a 28mm lens on a 35mm or full frame camera. The Olympus E-P1 carries an initial retail price of $749 (body only), $799 (w/ 14-42mm lens), and $899 (w/ 17mm lens and external viewfinder). The Olympus E-P1 is a throwback to the old Olympus Pen cameras of yesteryear. The absence of the mirror box in the camera body has afforded Olympus the opportunity to put a DSLR-size sensor in a more compact body. Additionally, the E-P1 captures a sort of retro look with its metallic finish and leather grip. So, does this camera perform as well as it looks? Read on to find out what I think of this retro-esque shooter. As I was opening the box of the Olympus E-P1, I got really excited about how cool the camera looked. I really haven’t thought that a camera looked this cool before. Fortunately, there was a bit of a charge in the battery and I powered it on to see the brilliant LCD with an awesome Live View display of my dining room. It looked like I could just reach through the screen and touch my a chair. Things were really looking up. I took a few sample pics and, although there was no flash on board, it handled the available light ok – so far as I could tell on the LCD. Next was a trip to the back yard. And there, I was disappointed with just a few shots on a rather sunny afternoon. Fill flash . . . I was doomed by the lack of fill flash from snapping a few pics of the kiddos in the middle of the day. Harsh shadows, backlit subjects and bears, oh my. (Ok, no bears.) I should have asked for the kit with the hotshoe flash. The more I used the E-P1, the more disappointed I became. While I’m used to shooting with a Canon 5D Mark II, I had no such qualms with the Canon Rebel T1i or Nikon D5000. Additionally, from what I had read of others’ review of this camera, I was expecting cool and functionality. Unfortunately, I felt like I was only left with cool. Don’t get me wrong though, it’s cool. On the many occasions that I’ve been out in public with the camera, I’ve had several people stop and comment on it or ask me about it. “Is that an old film camera?” or “That is a really cool camera.” were typical comments. Smiling and nodding, I felt a bit betrayed by the lack of (1) a fill flash and (2) a viewfinder. As for battery life . . . well, get a spare. While the camera didn’t die on me, I got the red blinking battery indicator suggesting that either the battery was going to imminently die or the camera would explode. As I was nearing the end of my day of only 172 photos after a full charge, neither tragedy occurred. I can understand that the E-P1 would have some battery life issue though, since it has some many components that are draining the juice – the bright LCD, image stabilization, fancy Art Modes and so on. For comparison purposes, I frequently get several hundred images from a single charge in Canon, Nikon and Sony DSLRs. After griping about the features of this camera for a few days/weeks, I really have tried to decide who this camera is for. I honestly can’t say that I know. Unless you just want an expensive camera to point and click with, you don’t need a flash, and you want it to look cool – then I could probably find another camera to recommend for your needs. I’ll take a Canon Rebel series camera over the E-P1 any day. Maybe I have been spoiled by DSLRs with the fast phase difference AF; however, the autofocus of the Olympus E-P1 is a little on the slow side. While it’s not unbearable in single AF mode, switch over to continuous AF and the focus literally pulsates in and out of focus while you are holding the shutter halfway down. If you need to snap a pic while tracking in continuous AF mode, then get ready for a ridiculous shutter delay. In short, autofocus works ok for static subjects but not so great with kids running about. As I said earlier, the Live View display is beautiful. It is crisp and bright – everything you want out of display on a camera. The refresh rate is fantastic with no detectable lag. That is, until you switch over to one of Olympus’ built-in Art Modes. Apparently, Olympus is using the SD card to buffer the image when you’re in an Art Mode because some of the Art Modes are unusable when you have a standard speed SD card in the camera. Even with a SanDisk Extreme III card, I experienced lag on the LCD in the grainy black and white mode, as well as the pinhole effect mode. The Art Modes are cool in concept for those of you wanting to skip the post processing and get some cool effects out of the camera. However, these seemed to work much better on the Olympus E-620 that I spent a short time with at the PMA Sneak Peek this year. I really like the grainy black and white effect, as well as the pinhole effect. Unfortunately, these seemed to hog the most memory and result in the most lag, which made everything but static subjects difficult to capture. In most cases, panning was completely out of the question. The movie mode on the E-P1 suffers from many of the same limitations that the new DSLRs with movies modes have. While you can achieve continuous autofocus in the E-P1’s movie mode (it must be set to C-AF), the focusing is slow and LOUD. See the following video for an example of the AF speed and noisy autofocus. That noise that sounds like a typewriter . . . that’s the autofocus motor. As a result of the loud and slow AF, you are pretty much left with manual focusing for video – the same as we have to do in current DSLRs. (See Canon Rebel T1i vs. Nikon D5000 Video Comparison) Fortunately, the manual focus ring on the kit 14-42mm lens is very smooth and quiet itself. Additionally, if you are doing video regularly with a DSLR or the E-P1, you probably want to be more precise than autofocus. If you want a video camera kids’ birthday parties, the zoo, etc., then I would recommend using a dedicated video camera like the Flip video camera. (See Flip MinoHD Review) That’s what I use. The Olympus E-P1 uses a sensor-based image stabilization system, which works by moving the sensor inside the camera body to effectively allow the use of image stabilization on all lenses attached to the camera. DSLRs from the likes of Canon and Nikon use a lens-based image stabilization system, which moves the glass inside the lens to counter camera shake blur in your photos. The image stabilized lenses are more expensive – and not all lenses from Canon and Nikon come with an image stabilization device built in. If you aren’t familiar with image stabilization and what it does, it allows you to use a slower shutter speed than you would normally be able use. While it doesn’t offer assistance to freeze a moving subject (you have to have a fast shutter speed to do so), it will tolerate a little bit of camera shake from your hands and shift the sensor or glass within the lens (depending on the system you are using). To see how well the E-P1’s built-in image stabilization works, take a look that the two photos below. The first image was taken without image stabilization enabled. In the second image, I turned it on. In both cases I used the same shutter speed of 1/4 of second, f/5.6 & ISO 800, hand held and was zoomed out to 42mm using the included 14-42mm lens. I don’t have any major problems with image quality; however, I won’t go so far as to say that it is on par with the Canon Rebel T1i and Nikon D5000. The Olympus E-P1 produces solid images for the most part. My main issues with image quality lie in the picture taking process, which goes back to the lack of an optical viewfinder and built-in flash. Because there is no viewfinder on the camera, it effectively means that most images are shot at arm’s length, which I don’t find to be as steady as holding a camera up to your eye. If you are looking through a viewfinder of a DSLR, you get 3 points of contact with the camera to help stabilize it with your body – 2 hands and the eyecup against your eye. I simply can’t get comfortable with the E-P1. And, it’s not like the Sony A330, which gives me the option of shooting through an optical viewfinder or the LCD if the situation calls for it. If you want to use a viewfinder on the E-P1, then it will cost you an extra $100 – and it is built for the 17mm pancake lens – so you are pretty much out of luck when the 14-42mm lens is attached. Here’s a handful of pics that I captured around Charleston, South Carolina with the E-P1. Just right click any of the images and choose “Save as…” to inspect the full size version on your computer. One component of image quality that has increasingly grown as a concern among digital camera users is how cameras handle low light shooting and what kind of image noise is produced at higher ISO settings. ISO on digital cameras is equivalent to the ratings given to film and is based on sensitivity of the image sensor. So, ISO 400 on a digital camera should have the same sensitivity of ISO 400 speed film. Again, the E-P1 is no slouch in ISO performance; however, it isn’t quite up to par with the cutting edge and similarly priced, entry-level DSLRs. Below is an image that shows the range of ISO performance for the E-P1. As you’ll see, the image is a bit underexposed; however, I let the camera meter it’s own exposure settings rather the forcing it into what I think is right. I cropped the center portion of the top photo at 100% zoom so that you can see it close up. For those of you who want to inspect the entire image, I’ve included links to those full size images below. Just right-click on the links and choose “Save as…”. Olympus M.Zuiko 17mm f/2.8 pancake lens – This 17mm lens is ultra compact and produces the same angle of view as a 34mm lens on a full frame camera. Its initial retail price is $300. Olympus VF-1 – This viewfinder is made for the 17mm lens above. It attaches to the hotshoe, which means no flash when it’s in use. Its initial retail price is $100. Olympus FL-14 hotshoe flash – If you plan on using flash with the E-P1, you’re going to need to spring for this accessory. Its initial retail price is $200. Olympus PS-BLS1 battery – This is the replacement battery for the E-P1. Given the battery life that I experience with the E-P1, I would recommend picking one of these up with the E-P1. Unfortunately, the Olympus E-P1 has not yet garnered the attention that the Nikon and Canon cameras get from publishers. As a result, I am not currently aware of any books available that are specific to the E-P1. I think the camera’s manual can get you a long way to learning the E-P1 and it’s operation is not overly difficult anyway. Additionally, to the extent you need further guidance on your photographic endeavors, I highly recommend Bryan Peterson’s Understanding Exposure. At around $15, it’ll be the best bang for your buck that you ever spend on photography. As noted earlier, I have seen other sites review the Olympus E-P1 and give boisterous recommendations to readers. I said before that I have had a hard time figuring out who this camera is for – I am still unsure. I’ve read that photo geeks are all about it; however, I think most photo geeks would really miss some the crucial functionality that we are accustomed to in modern digital cameras. The Olympus E-P1 is not a photographer’s camera. It’s also not a soccer mom’s camera. Forget it as a point and shoot replacement. The compact frame is compromised by the lack of a built-in flash. Yes, it handles noise decently and produces solid images; however, there’s a lot more that goes into the process. We need a competent and reliable autofocus system in order to make sure we capture the moment. If you aren’t going to take photos of living subjects, I suppose you could make the Olympus E-P1 work for you. Alternatively, if you want to look cool and have people compliment you on how cool your camera is, you should check this camera out. I would suggest that if you took the guts of the Olympus E-P1 and put them in a plastic, common DSLR body, the reviews for this über-cool camera would not be so glowing. Consider the functionality of the camera. Pretty cameras don’t necessarily make pretty pictures. If you want a camera to capture family moments, shoot the kids’ soccer games or any other event involving moving subjects, then look elsewhere. 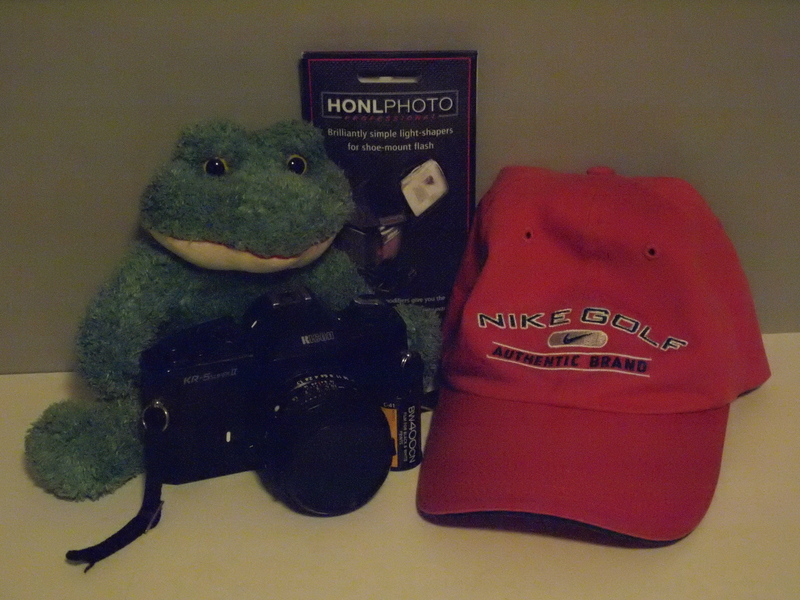 My current recommendations would be the Canon Rebel T1i and Nikon D5000. If the Live View display is a necessity, go with the Sony A330. I recommend B&H Photo as a trusted online source for cameras like the Olympus E-P1, along with a broad range of lenses and accessories to go with it. I guess I’m not a photographer because I sold my D200 and all my Nikon gear after using an E-P1 for two weeks. I’ve yet to be let down in any way after almost 2 months of use with the E-P1. I’ve taken photos of kids, I’ve frozen a motorcycle streaking by at 55mph, I did a panning shot a bus with no AF issues, and I’ve taken macro shots of dragon flies all without issue. You seem to miss the boat totally. The entire point of this camera IS the form factor. If I wanted a camera that felt like a plastic turd I’d buy a Rebel/D500/A230/K-M, but the fact is I like using quality gear that doesn’t feel like it will break if I squeeze too hard. Plus there’s the size, try putting a Rebel in your pocket and a couple of primes in the other pocket and go for a walk. After you’re done with that try mounting Zeiss ranger finder glass to your DSLR of choice and see how that goes. The simple fact is this camera shouldn’t be compared to any DSLR. No DSLR can do what this camera does. If you want speed, yes there are better options (in much larger packages), however if you want really high IQ in a portable package then you’re looking at the only game in town at the moment. And just like that I am now unsubscribed from your RSS feed. You have lost all credibility to me. @Other Eric – I appreciate your comment and I’m sorry if you are offended; however, I stand by my review of the E-P1. Form factor is only important to me if the camera works the way I need it to. I’m glad you like the camera and appreciate the points you’ve made as to why it works for you. I disagree with your suggestion that a Canon Rebel series or Nikon D5000 feels like it will break when you squeeze on it though. Additionally, I don’t find the E-P1 to be all that smaller than the entry-level DSLRs you mention. It’s a bit of a stretch to call the E-P1 a pocket-cam. Were you taking these shots in Charleston, SC? Great pics. The ISO Comparison Chart looks very suspicious. The text in the iso 800 is sharper that the one in iso 400 and 200 (and the 400 sharper than 200). However the red cloth looks sharper at iso 200 than iso 400 and 800. It looks like your iso measurements are corrupted by poor focusing ! Well, I love this camera. I bought 3 cameras this year (Canon T1i to replace my older dSLR, Canon SD960 IS point and shoot for the wife who needs 720p HD video, and the e-p1). This camera is simply remarkable. Sure, the T1i is cleaner ( I shoot only w/ prime lenses) but there is something that the T1i cannot do is the form factor. This camera fits into my briefcase. It is so light, I take it with me to work every day. I can’t lug my SLR around. The SD960 P&S is a joke but it works for the wife. This camera shoots at f/3.5 in street light w/ Image Stabilization @ ISO 1600 better than my Canon using a f/2.8 or f/1.4 lens. And why is that I find it so remarkable: The ability to use legacy glass. I have a M42 adapter, OM adapter, a Leica M mount adapter, and a C mount (Bolex 16mm film adapter). When you pair this camera with something like a Cosina Voigtlander Nokton 40mm f/1.4 lens, the images are stunning. You can get cheap 50mm f/1.8 M42 lens at the flea market for $5. I just ordered a Cosmicar 12.5mm film lens off ebay. Ive seen Vimeo videos and Flickr shots and they are quite truly stunning. This is why so many people who can’t afford Leica M8.2 are salivating. My Cosmicar lens (16mm C Mount matches the 4/3 sensor so I don’t need to worry about crop 1.3,1.5,2x crop ratio) was $10. Where can you buy a prime lens for $10. Heck, I’ve seen people retrofit a Pentax 110 lens on a e-p1 ( & Panasonic G1/GH1). I am so sold on micro 4/3 now that I am looking for a second camera body (possibly panasonic). As for AF, who cares. Manual focus is a pleasure on this camera. Hit the info button a few times and you will get the rifle’s cross-hair. That thing is amazing, it helps you with composition by aligning marks via symmetry. The 7X manual focus assist is fast. I focus faster manually than I do with other cameras. In all, with this camera, I have fallen back in love with photography. Researching what lens work and what doesn’t. It is so refreshing to manually use a manual aperture ring w/ legacy glass. The best camera out there is the camera that makes you feel comfortable to use. Judging from the tweets, blogs, forums, this camera has it. Hi Eric….First Of All, Just To To Let You Know That I Am A No Pro In Photography…But Have Been Doing It as A Hobby For The Past 35 years. I Log In Here To Know The Latest New and Rumors In The Camera world….Kudos To That! But When It Comes To Reviewing Cameras, You Are Way Out Of League. The Way In which you Test and Review Your Cameras are In My Opinion, Too Casual and Below Standards. Even For A Casual Shooter Like Me, The Whole Review Looks Jumbled and Going Nowhere. Besides,I was among The First To Test The EP-1 In My Country and Find it Solid and Most Importantly, The Jpeg Images Out of Camera Are Gorgeous!…And Coming from A Seasoned Nikon User, I Personally Think You Got Your Review All Wrong!…Well, That’s Just My Opinion…..Thanks ….UJ. Well I have had the E-P1 about 1 month now. I had Nikon film cameras for 30 years, Nikkormat FT2, Nikon F and Nikon FM, the latter being my camera of choice for 25 years. My other film camera was a Robot Star II, a small, interchangeable camera with a motor drive from the 1950s. I have been waiting years for something like the E-P1 to come along. Something affordable, compact and versatile. There is no doubt the E-P1 is not perfect, but it is the only camera that ticks all the boxes that are relevant to me. I have an absolute hoot using it with a collection of old Olympus OM lenses and even the Schneider 40mm f/1.9 from my Robot Star. The E-P1 is a revelation. A small package of photographic joy. I’m a little offended by this review. The E-P1 is a camera that can do ANYTHING you want it to, and can easily adapt to any lens that you want it to. In owning the official forum for the camera, I can see the community that it builds, and in our own forum gallery I have found photos that are even far better than the 5D Mark II. If you really want to give me the pretty camera that takes bad photos example, then you’re really not a true photographer yourself, because a photographer would realize that they can take great photos with any camera that has full manual controls. Quit whining about the lack of a viewfinder, if you want to gripe about this then you’ve honestly lost any rights to review a camera that was obviously not made to have one in my eyes. Anyways, I totally discredit this review. I appreciate your comment; however, saying the camera can do “anything” you want it to is a severe stretch. I stand my opinion. Well then you’re not being creative enough with it…because today I managed to get a Canon P&S camera to do something just as well as a DSLR would. The E-P1 is no different, in fact much better. @Voyager – Perhaps you are right and I’m not creative enough. However, this review is based on the overall performance of the camera and not my creative workarounds for the E-P1’s deficiencies. I give much bigger kudos Panasonic with the GH1. Its overall performance, autofocus and video capture is much more satisfying than the E-P1. Additionally, if you think the E-P1 produces images “that are even far better than the 5D Mark II,” then we clearly operate on different standards for product performance and you will likely not agree with anything that I have to say and I can understand why you discredit this review. Thanks for the candid review of the EP-1….though I think some people are over-reacting to your write-up. I was torn between the GF1 and the EP-1 for a while. The news of the EP-2 being launched soon didn’t help matters much. Finally, the idea of having IBIS won me over to the side of Olympus, due to the fact that I have a number of legacy glass. I appreciate the fact that you highlighted HD’s reply and his opinion about the EP-1 which is bang on with what I was thinking… the EP-1 would be great for manual lenses. I can do without the sluggish AF and just concentrate on having fun with my old Takumar, Exaktar and Minolta optics. The best part being I don’t have to develop and scan my film shots this time round. Keep up the good work. Even though I may not always agree with your viewpoints.